Use only the first N sentences for language detection. This helps avoid disclaimers and other material that may not be in the language you wish to detect. Set to 0 to use entire text content. Click the countries on the map to match email originating from the selected country. 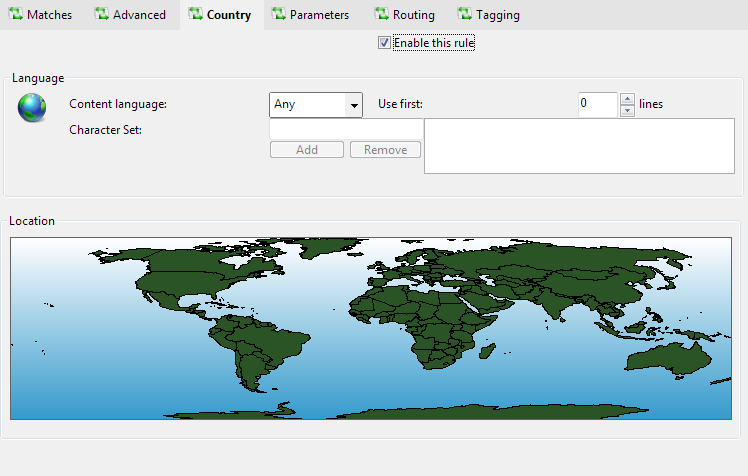 Click again to clear the setting for the specified country.